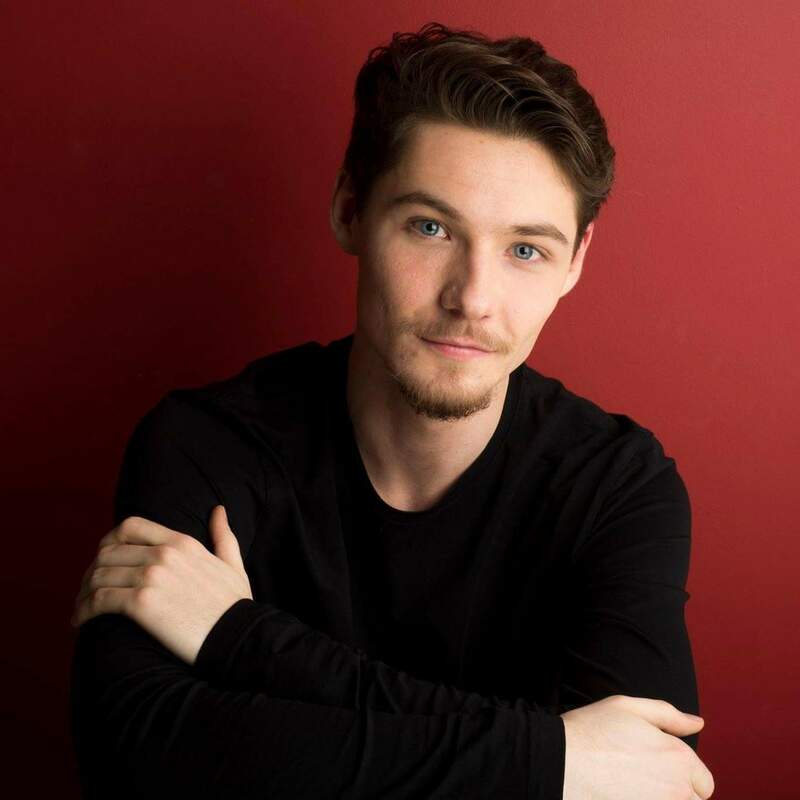 Hugh Ritchie’s boisterous, dramatic and expressive Leo Bloom in The Producers at the Lower Ossington Theatre earned him a nomination for Outstanding Leading Performance in a Musical, his second after being nominated in 2016 for Into the Woods. Hugh has always had his eye on this character, and was both petrified and excited by the chance to play him. He is a dreamer, like Leo, and is always ready to take on new challenges and adventures in life. Look for him next in PEI playing Gilbert in Anne & Gilbert at the Guild Theatre. I’ve had the great pleasure of performing in several shows at the Lower Ossington Theatre (The Mousetrap, West Side Story, Little Shop of Horrors) as well as another show at Hart House (25th Annual…Spelling Bee). I also performed in Twelfth Night at the Winter Garden Theatre with Classical Theatre Project. I’ve met some tremendous artists doing these shows, and would not trade those experiences for anything. How did you get involved with The Producers? I met our incomparable director Cory Doran while rehearsing Spelling Bee a little over a year ago. When I saw the LOT’s audition notice for The Producers, I knew I had to audition. Then I got a text from Cory saying he was going to direct it, and I’d better throw my hat in the ring. I knew his comedic work was genius, and his involvement made me want to be a part of it even more. When we last interviewed you, you cited Leo Bloom as a dream role. Did he live up to expectations? I grew up on Mel Brooks’ movies, and Gene Wilder’s turn as Leo Bloom has always been one of my favourite performances. When I got cast, I was absolutely petrified. I knew it was going to be a very tall mountain to climb, and I knew I wouldn’t be satisfied unless I worked my tail off. This was the soundtrack I danced to in my room as a kid. This was one of the first roles that made me point at the screen and say, “I wanna do that!” I feel very lucky that the LOT put together the team we had, because every person was so dedicated and believed we were doing something special. Any expectations I had were blown out of the water very early in the process. How do you relate to Leo Bloom? What aspects of yourself to do see in him? I think Leo and I relate on an emotional level. My acting career is still in its early stages, I work several side jobs to help pay Toronto rent. And there are long stretches where nothing seems to stick and I feel at a stand still. But Leo and I have the same big dreams, and often it’s through the encouragement of others that I find the will to keep going, just as Max tells Leo, “Don’t you see? There’s a lot more to you than there is to you!” We also share a love for teamwork, and the idea that success is measured by the group, not the individual. 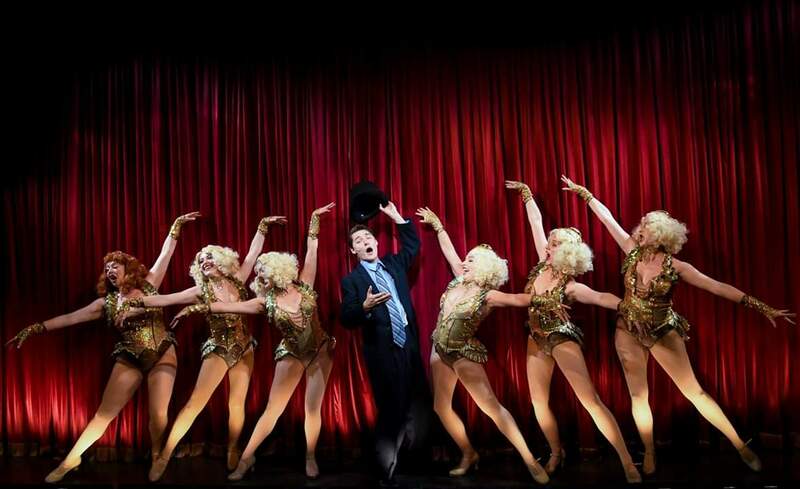 What was your favourite moment of The Producers? There are too many to count! But one that stands out was watching “Springtime for Hitler” in the wings every night. That number was 10 minutes of barely controlled chaos, onstage and off, and it was incredibly humbling to watch the dedication and talent of our cast. And peeking to see the horror-stricken faces mixed with people laughing to the point of tears in the audience…absolutely priceless. Lower Ossington Theatre is an intimate venue. Do you prefer that over more distanced stages? Yes and no. There’s nothing like seeing the reactions of people just a few feet away from you. That was one of the great joys of this show. However, it was a MIRACLE that we were able to pull off what we did there every night. The Producers is a gigantic show, lots of sets, lots of costumes, and not enough space for any of it! Full credit to our team for working with what we had and banding together to find solutions on the fly. Part of what makes the character Leo Bloom funny is the physical acting – he’s very prone to throwing himself about. Have you ever had that physical drama go wrong? Surprisingly, I can’t really recall hurting myself doing any pratfalls or physical gags. Sure, mysterious cuts, knicks, bumps and bruises appeared out of nowhere every day, but that was par for the course. The worst injury I’ve experienced was in Little Shop of Horrors at the top of Act 2. We had a huge revolving set that we used during scene transitions, and one day I was walking “out”of the shop on to the street as it was spinning (I saw the archival, it looked amazing!) and my ring finger got caught in the door as I closed it. Luckily nothing broke, but my fingernail went black and took a good 6 months to heal. Good thing it was in the script for Seymour to have band-aids on his fingertips! What physical aspect of transforming into Leo Bloom did you find the most difficult? Most fun? The Producers moved at a million miles a minute, so it took a while to build the stamina necessary to last the whole 2.5 hours with little to no breaks. Luckily I live a 15 minute roller-blade from the theatre, so part of my warmup was skating hard, glide, repeat. It was our director’s suggestion, to get the body used to sprinting, then coasting, then sprinting again over and over. After a few weeks of rehearsal, it got much easier. The most fun I had was practicing how to scream like a maniac every day without exhausting my voice. I imagine my neighbours think I’m insane. I’m flying out to Prince Edward Island in April to play Gilbert in Anne & Gilbert at the Guild Theatre until October! I’ll be sad to miss a Toronto summer, but I’m looking forward to all the seafood! It was an immense pleasure to make fun of Nazis every day and get paid for it. F@$% TRUMP!